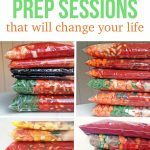 After sharing my 17 favorite freezer meal prep sessions, a bunch of people asked me to prep some vegetarian freezer meals. 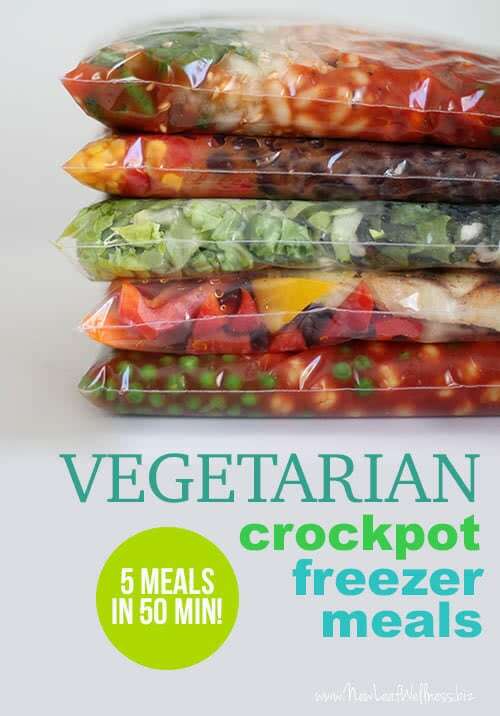 I was a little bit nervous because my family eats meat, but I was able to come up with five vegetarian freezer crockpot meals that I knew we would love. Here’s what I made, including my printable recipes and grocery list. 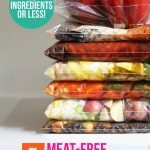 I was intimidated by the idea of dedicating a whole freezer meal prep session to vegetarian meals until I talked to one of my friends about it. She’s a vegetarian herself and she told me to forget about finding brand-new recipes on the web and focus on finding substitutes for meat in my favorite recipes instead. Eureka! Since I’ve tried some version of these recipes before, I can tell you that they’re all absolutely delicious! 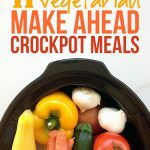 If you’re a vegetarian, then I think you’ll love the convenience of having these crockpot meals ready-to-go in the freezer. The meals all include vegetables and are very healthy. The colors of the vegetables were so pretty and fun to photograph. Overall, it took me about 50 minutes to prep all five meals, including clean-up. 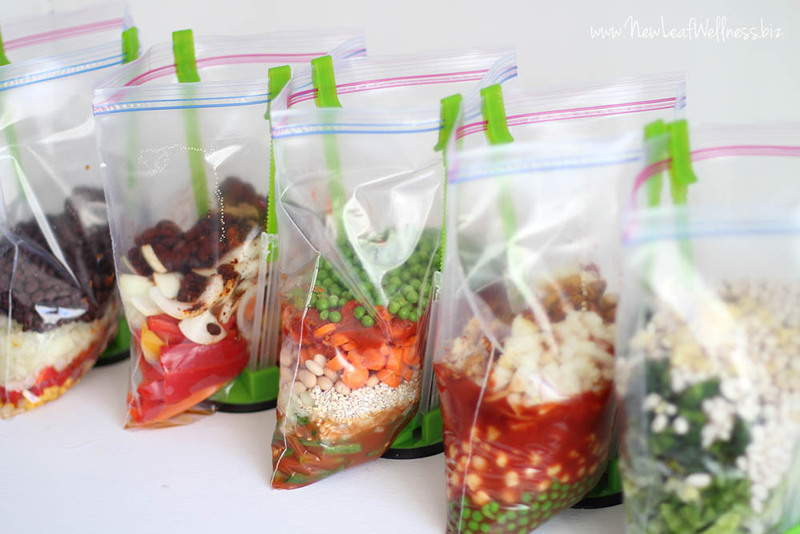 Preparing five dinners under an hour sounds great to me! Now all I have to do is dump the frozen meal into my crockpot in the morning and serve a simple side dish at dinnertime, like crusty bread or baked crescent rolls. 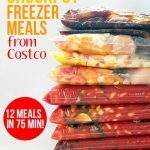 If you’re new to freezer crockpot freezer meals, the recipes above will walk you through the process step-by-step. 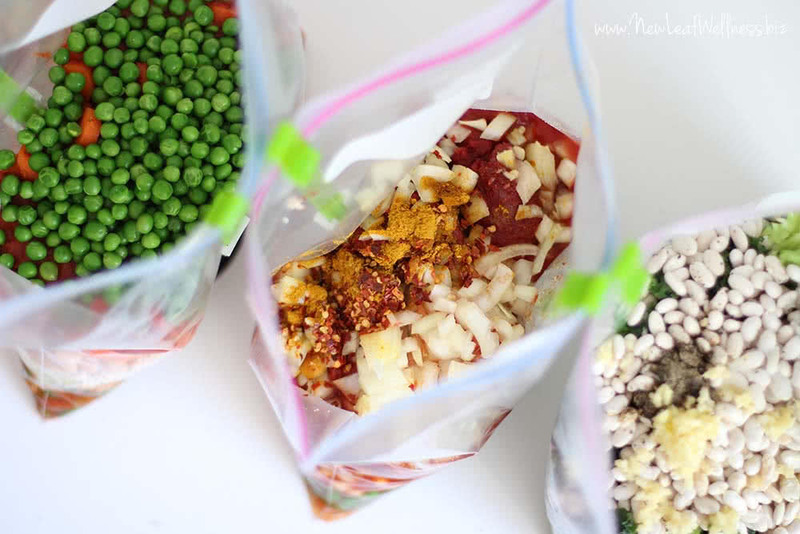 All you need to do is combine the ingredients in gallon-sized plastic bags and freeze. My freezer cookbooks also include a ton of tips and recipes. Great! Hope you love them, Marlene. Whole food plant based meals would be awesome! Just a suggestion. Thank you for these recipes! We eat mostly meatless and I’ve been stumped as to preparing/cooking veggie meals ahead of time! They should last at least three months in a standard fridge/freezer combo. Thanks for doing this. I came to your site through money saving mom. I dont care for meat much and am trying to eliminate all but fish. I’m also a picky eater so I’m excited that I was interested enough to pin two of these recipes! Please do more vegetarian meals. I’ll be a faithful follower then! Thanks for the encouragement, Karla! 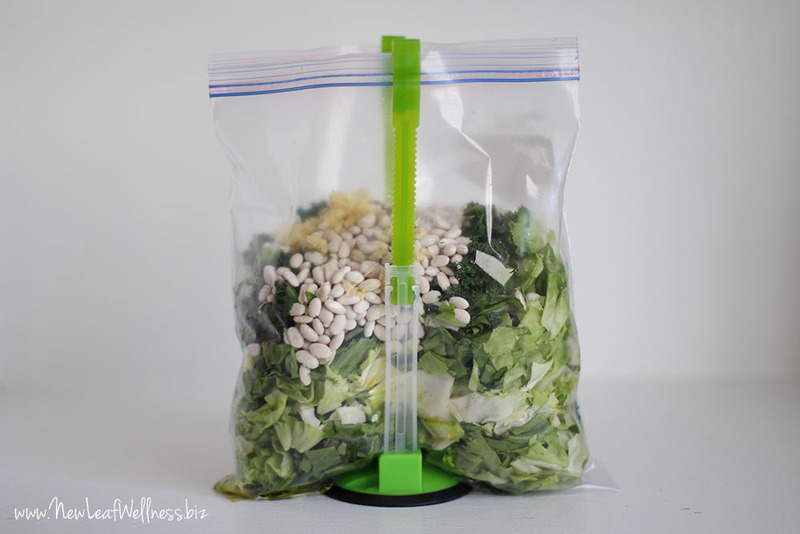 The Greens & Beans recipe calls for the greens to be added after the beans have cooked for 6-8 hours, so why would they be frozen together in the same bag? They work fine added at the beginning of the cooking time. It’s easier for me to make it that way.